If you do not make a Will, then the law decides how your estate is distributed. It may be that relatives receive money that you do not want to benefit from the estate. That is why it is crucial to make a Will and ensure your wishes are followed. If you are in Oundle then please call us for a no obligation chat about your Will on 01536 276300 or contact us online. I’ve Not Made A Will – What Happens To My Estate When I Die? If you are married or in a civil partnership and have children and die and have not made a Will then your spouse may not inherit all your estate. Your spouse or civil partner would be entitled to receive up to £250,000 of your estate assets plus your personal possessions. Half of the excess over £250,000 is then shared equally amongst your children. Your spouse/civil partner also has the right to the interest only on the other half of the excess during his/her lifetime, then after the death of the spouse/ civil partner, to the children in equal shares. However, the problem is, if your net assets are worth more than £250,000, then that your spouse could potentially lose his or her home because if you die intestate, and have not made a Will, the surviving children or grandchildren are entitled to a proportion of the estate if it exceeds £250,000. That means that all of your assets and property would not pass entirely to your spouse. Your spouse would be entitled to everything up to £450,000 plus your personal possessions. Everything else over £450,000 would be divided equally between your spouse and your parents. If your parents have already died, their share would go to your brothers or sisters. If there were no children, no parents and no brothers or sisters of the whole blood then your spouse receives everything. If you are unmarried with children then your children would receive your estate in equal shares when they reach 18. If you are unmarried with no children then your estate would pass to your parents in equal shares. If you were unmarried with no children and no parents then your brothers and sisters of the whole blood would inherit in equal shares. If there were no brothers or sisters of the whole blood then your brothers and sisters of the half-blood would inherit in equal shares. If the above circumstances applied then your grandparents would inherit in equal shares. If the above circumstances applied your estate would pass to your uncles and aunts of the whole blood. If there were none of them then to your uncles and aunts of the half blood. In these circumstances your estate would pass to the Crown. Unmarried couples do not automatically inherit anything. By law, only married couples are recognised as having any significant rights over property. Therefore, if you are unmarried and have not made a Will, your partner will not get anything! If you are separated but not divorced and you have not made a Will, your spouse may be entitled to claim part or all of your estate in certain circumstances. Even if your ex-spouse cannot make a claim any assets you have left to your children’s trust fund may fall under your ex-spouse’s control! An ex-spouse could be given full Parental rights over your children even if your original separation agreement or court order state said differently. With a Will, you can appoint people you want as guardians for your children in the event of your death. Don’t leave it to chance. Don’t rely on the intestacy provisions to protect your family. Make a Will. Call us for a free no obligation chat. My name is Adrian Chambers. I am a lawyer who specialises in creating and preparing Wills. 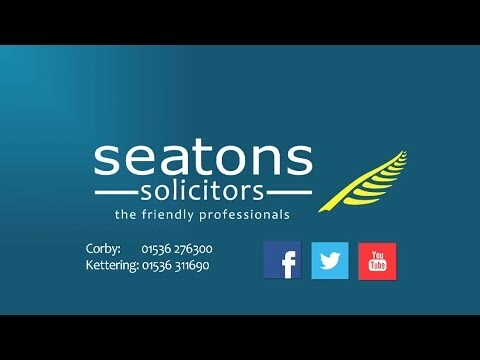 If you are in Oundle then please contact us for a free, no obligation chat at our Corby office on 01536 276300 or contact us online.